Grammy season is approaching and the 2019 nominations will be announced December 5th. While the academy works on voting for the nominations, Kanye West has made an outburst much less dramatic than his 2009 “imma let you finish” debacle. He has submitted his own work this past year for two Grammys, but not the ones you would expect. He has put his song “Freeee (Ghost Town, Pt. 2)” off of his collaborative album with Kid Cudi, Kids See Ghosts, up to the nomination board for best rock song and best rock performance. As with anything Yeezy does, the public is polarized on the legitimacy of this move. A pool of people dislikes Kanye for his various controversies over the past year and do not want to see him win anything at the Grammys. Part of the opinion in this pool stems from rock fans not wanting this controversial artist to claim their own genre, because West isn’t a “Rock” artist. If you look at past winners of the award, “Black Star” by David Bowie, “Don’t Wanna Fight” by Alabama Shakes, and “Run” by Foo Fighters, there is little correlation between these artists and West. However, the song itself sounds nothing like a hip-hop song and is loaded with big drums and brash, fuzzed-out synths. 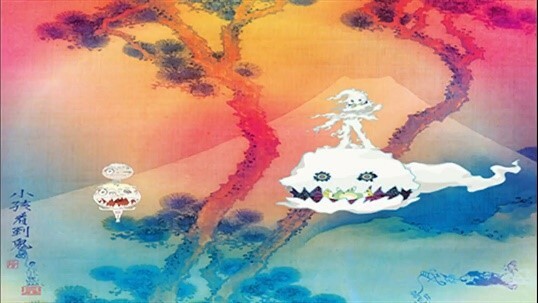 The song contains very little in the way of conventional rapping, and the performances of Kanye, Kid Cudi, and Ty Dolla Sign all have rock n roll influences. I personally see this is a credible nomination. The song sounds like a rock song, and the fact that a hip-hop artist, no matter how controversial, created it is irrelevant. Since I haven’t listened to much contemporary rock in 2018, I’m not sure if it deserves to be the rock song of the year, but it does deserve the chance as any other credible record. I personally enjoy the song and album quite a lot, and I like the idea of a hip-hop artist getting a Rock Grammy.